When thousands of Central American families fled violence to the United States last year, the Administration responded by opening family detention centers, which are detaining mothers and children as their asylum-based claims work through the court system. Family detention has since led to complaints of psychological harm, suicide attempts, protests and hunger strikes by detainees, and lawsuits over lack of due process, all at exorbitant cost. Yet a new paper by the American Immigration Council and Center for Migration Studies, A Humane Approach Can Work: The Effectiveness of Alternatives to Detention for Asylum Seekers, suggests that U.S. detention of asylum seekers is not only harmful, but unnecessary. The paper summarizes empirical research that asylum seekers fleeing persecution arrive uniquely inclined to appear for court hearings, and will do so if they are treated humanely and fairly—i.e., released instead of detained, and provided legal assistance before their hearing. Researchers commissioned by the United Nations High Commissioner for Refugees (UNHCR) identified several key reasons for this. First and foremost is asylum seekers’ fear of returning to persecution, and “lack of a Plan B” once arriving. Second is asylum seekers’ natural “inclination towards law-abidingness.” Indeed, for many their asylum claim is a “manifestation of faith in legal process,” since they “fled nations with substantial rule of law deficiencies.” Third, and related, asylum seekers are predisposed to trust the system to provide them a fair hearing, even if they might lose. With these factors in mind, studies have identified access to early, reliable legal advice as the single most important factor in fostering asylum seekers’ trust in the legal system, and in turn ensuring compliance with court processes. 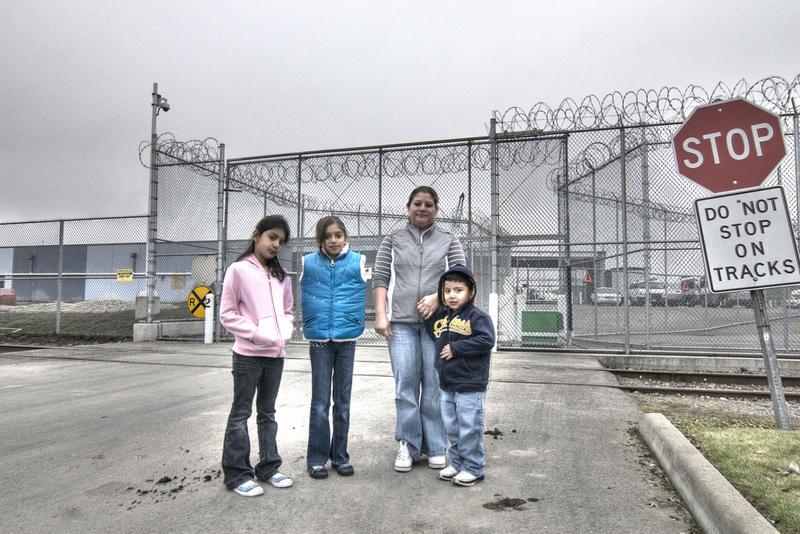 As a Canadian asylum seeker told researchers after he received legal advice, “It is crazy but yeah, I do have trust in the system because I understand it.” And the U.S. NGO Vera Institute, in a groundbreaking 2000 study commissioned by the U.S. government, reported that many asylum seekers attended their hearings because they “felt they had someone on their side during the court process,” once Vera provided them caseworkers that could answer questions and refer them to legal advice and social assistance. Along these lines, U.S. data on children in immigration proceedings suggests that legal assistance helps to ensure appearance. 92.5 percent of children with lawyers appeared in court from Fiscal Year 2005 through June 2014. This research helps explain why quantitative studies have consistently showed that asylum seekers comply with legal proceedings at high rates. For example, Vera’s study reported an 83 percent rate of compliance with court proceedings among asylum seekers who were found to have a credible fear in the expedited removal process, and placed into alternatives to detention (a.k.a. “ATD,” or supervised release). U.S. government ATD programs have recently showed even higher rates of success—95 percent in one program for varied types of immigrants, from fiscal year 2011 through 2013. Given this research, the U.S. government should design a system of supervised release with legal assistance for asylum seekers—which can work with both far less human cost and financial cost to taxpayers. The Center for Migration Studies and U.S. Conference of Catholic Bishops have provided detailed recommendations to reduce detention and ensure access to legal assistance, with a particular focus on asylum seekers. As this paper concurrently argues, release should be the norm, not detention. Supervised release should be provided where necessary—but extreme restrictions such as monitors may be unnecessary given asylum seekers’ predisposition to appear. The majority of released Central American families and children are already showing for their proceedings—and the expansion of programs to provide supervised assistance and counsel should increase those rates even further. Recently, DHS Secretary Jeh Johnson announced the agency’s intention to shorten detention for initial processing for families, and ICE subsequently released some mothers and children who had been determined to have a credible fear of returning to their countries, which are positive first steps to build upon.